The GeniusTex research project is part of the “Smart Service Welt II” (“Smart Service World II”) program of the Federal Ministry for Economic Affairs and Energy. 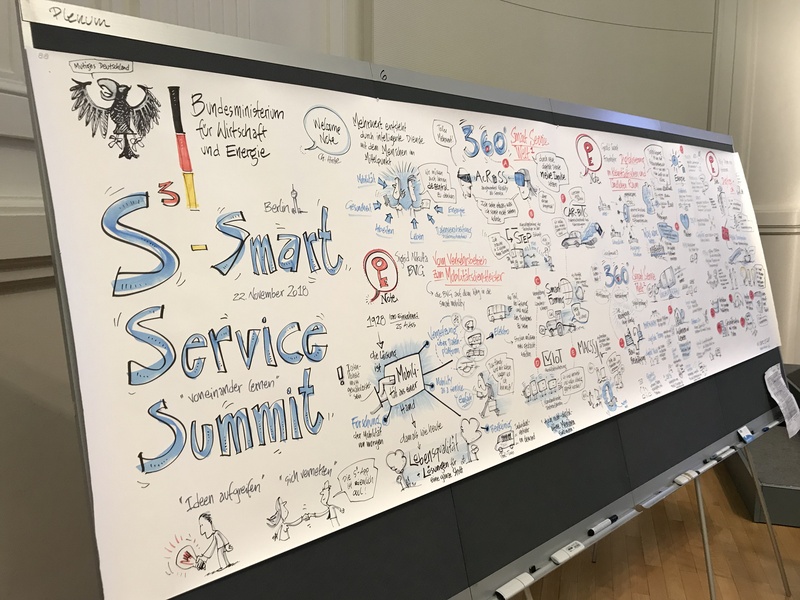 All projects of this program, as well as those of its predecessor “Smart Service Welt I”, were invited to its annual meeting, the so called “S3 – Smart Service Summit”, which took place on November 22nd and 23rd 2018 in Berlin. For our project, it was a nice opportunity to get an overview over the other research projects in the program. Moreover, we had the great opportunity to discuss how service platforms like GeniusTex can be better tailored to user needs, how to gain insights from data while conforming with privacy and data security, and how to design business models based on platforms. The S3 – Smart Service Summits opening note was held by Christian Hirte, Parliamentary State Secretary at the Federal Ministry for Economic Affairs and Energy. In the first keynote, Dr. Sigrid Nikutta, Chairwoman of the Management Board and Operations at Berliner Verkehrsbetriebe (BVG), showed the impact of digitalization on the public transportation and described activities of her company in that field. After that, six projects of the “Smart Service Welt I” program (predecessor of “Smart Service Welt II”) were presented. Then, Gerald Swarat, Fraunhofer IESE, explained in his keynote why rural areas need to be taken into account when it comes to digitalization. 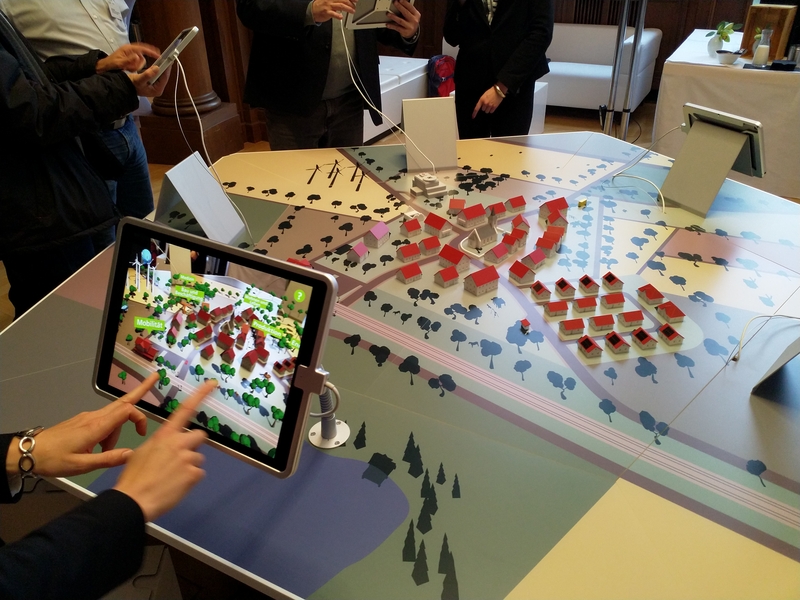 Afterwards, the projects of the “Smart Service Welt II” program were introduced. 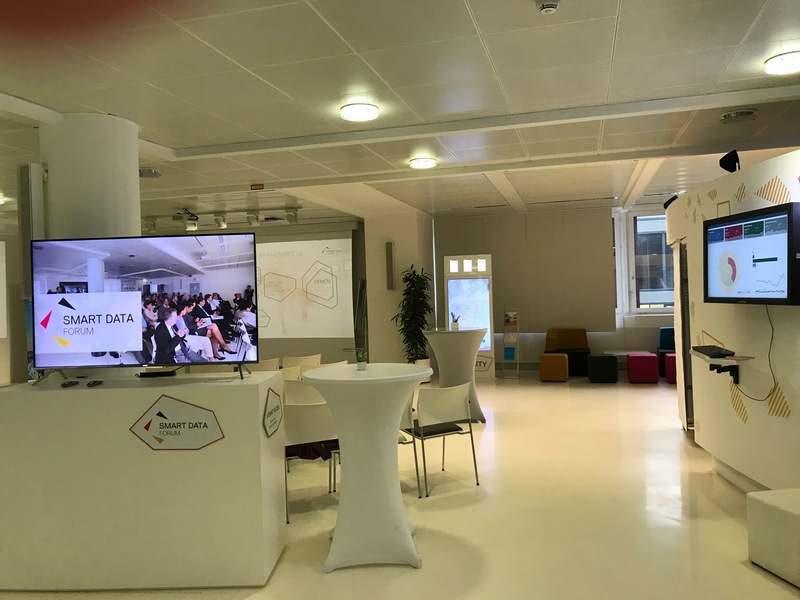 On the second day, we had the chance to visit the Smart Data Forum in Berlin. 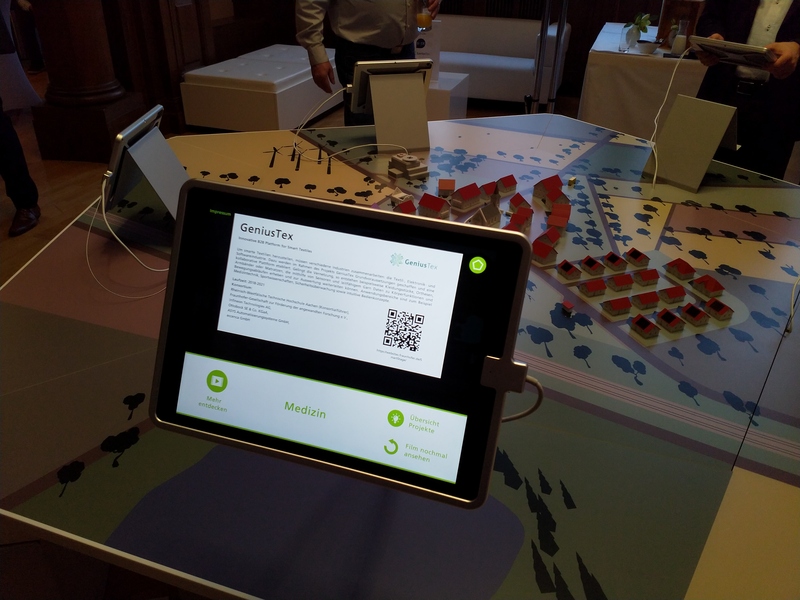 GeniusTex is now part of the Smart Data Forum’s “Smart Service Welt II” exhibition, as one may see on the pictures below. We would like to thank the Federal Ministry for Economic Affairs and Energy as well as everyone else involved for the nice event.